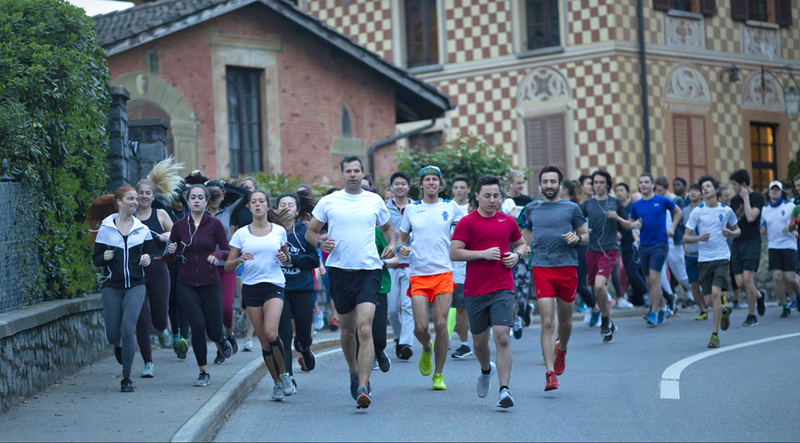 A record 55 runners departed from TASIS at 6:15 on the morning of May 1 for the 5th Annual Beat the Bells Run, and 36 made it down to Lake Lugano and back before the Sant’Abbondio bells chimed at 7:00. 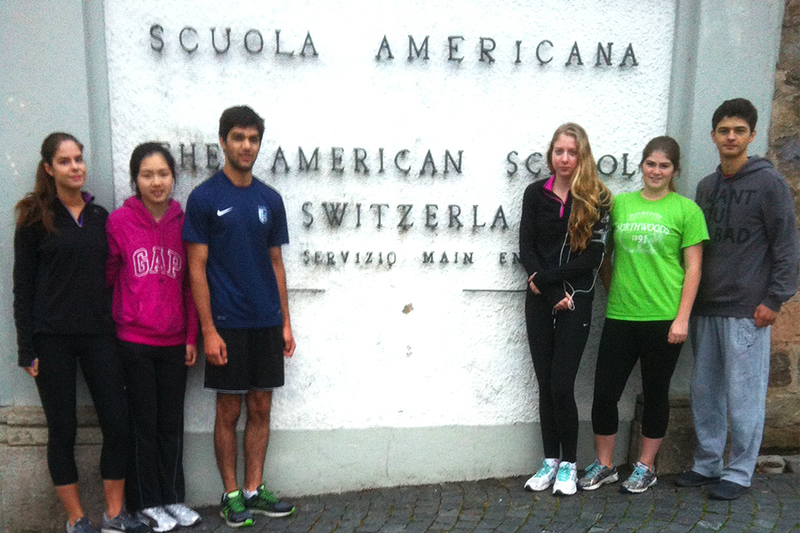 The challenging run, which is just under seven kilometers with an elevation change of 340 meters, helped raise more than CHF 500 for the Nepal Global Service Program group. Thirty-three TASIS students, 16 faculty and staff members, six guests, and one parent gave it a shot this year, with the lead pack crossing the finish line in just over 30 minutes. 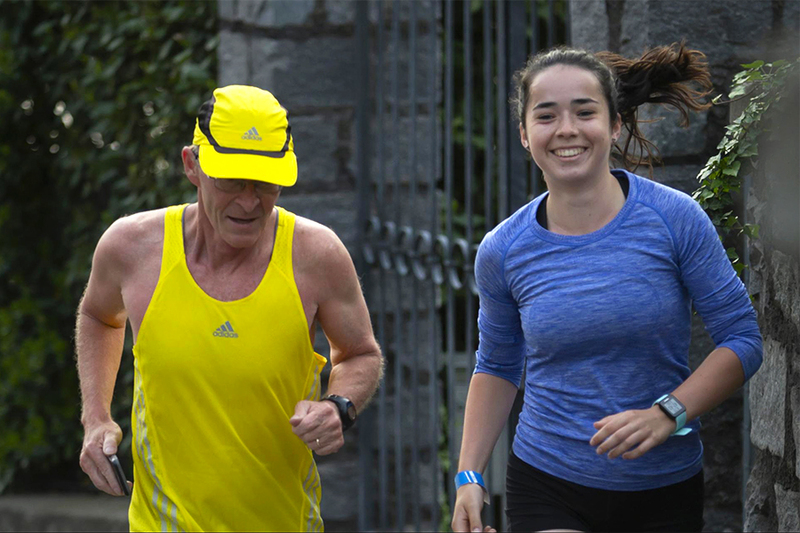 “The aim of this fun and community-building event is to challenge yourself, raise some funds for Nepal, and appreciate another sunrise in our beautiful surroundings,” said Director of University College Counseling Greg Birk, who coaches cross country and track at TASIS and has completed 55 marathons and two ultramarathons over the past 41 years. I was searching for a morning route I could run year round—something relatively traffic-free and safe even on the dark winter mornings. I was always keen to get a morning run group going. Over the years I have had a number of different faculty and students who would join me. [Former Headmaster] Michael Ulku-Steiner was a very regular participant. It worked best for everyone's schedule if we finished the run by 7:00 so that students and faculty would have time to shower and eat breakfast before the start of school. We would meet at 6:15 and then plan to be finished by the 7:00 bells. 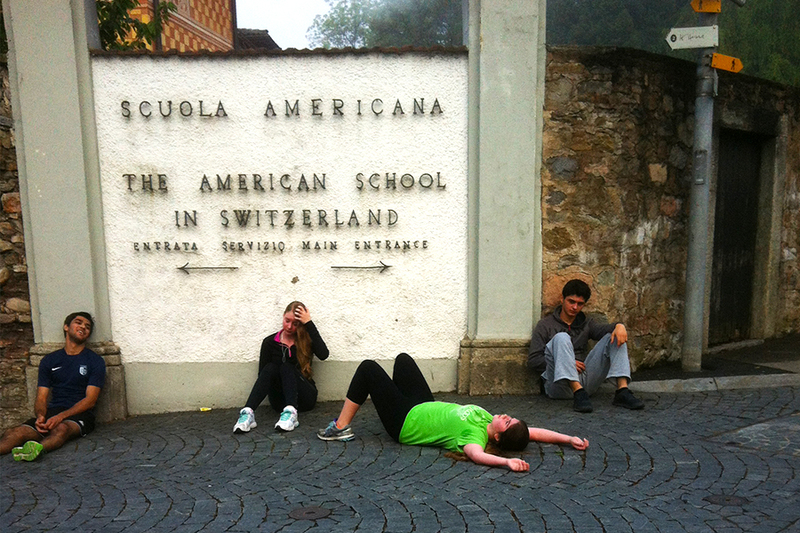 Finishing the run before the bells was a bit more of a challenge for some than others. It was always a benchmark to hit for people who joined me on the morning run. I would welcome new participants into our Beat the Bells Club and it sort of caught on. The movie Chariots of Fire gave me the idea to make it more of a traditional community event and a more "official" Beat the Bells group. From running the course so often, I knew that having the race on a holiday with very little traffic would allow a larger group to run it safely, and it also needed to be at a time of year when we would be running in at least some daylight. I decided on May 1 since sunrise pretty much corresponds with the 6:15 start time. So May 1, 2014, was the first "official" Beat the Bells Run, but there were many before 2014 who will tell you they also beat the bells. I wanted to make a big deal of it and got permission to paint the names of the people who beat the bells on the wall in the fitness room. After going on the Nepal trip with [TASIS High School Math Teacher] Danny Schiff, it seemed natural to partner with him and the Nepal group for the event. The success of the event comes down to student participation and is really dependent on the track team, the Nepal group, and [TASIS Athletic Director] Sonny Lim’s support. See more of Kim Nelson’s excellent photos from the 2018 Beat the Bells Run on the TASIS SmugMug page, and watch Alex Secilmis’s video recap of last year’s race on the TASIS YouTube channel. We close with a before-and-after look at the inaugural Beat the Bells Run from May 1, 2014.